The best things happen spontaneously. 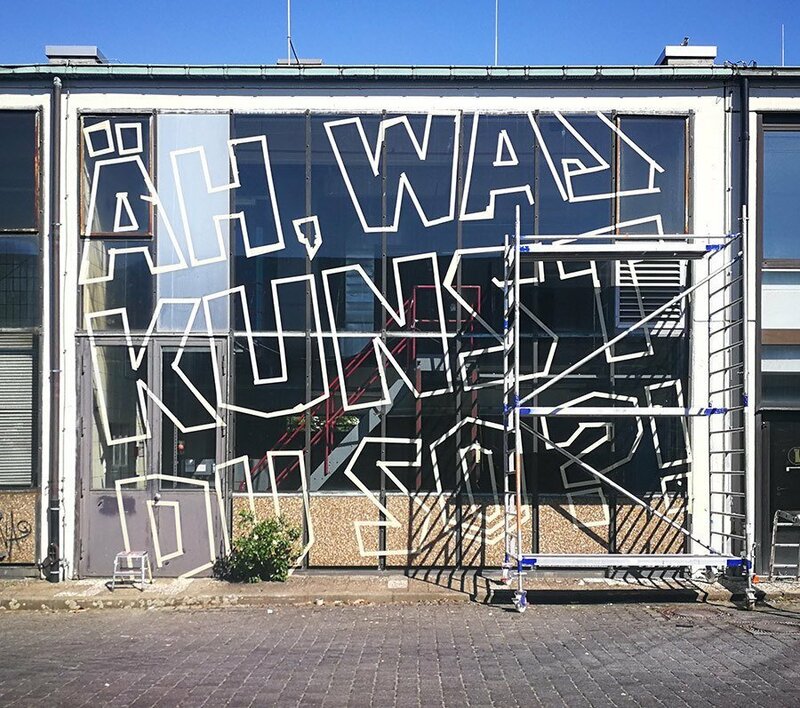 Just like the invitation of the guys from Berlin Mural Fest, who provided us with a wall full of glass to be creative with. I and my SELFMADECREW were ready of course – but only had 10 hours of time. That means no time for long planning, let’s get right to it! 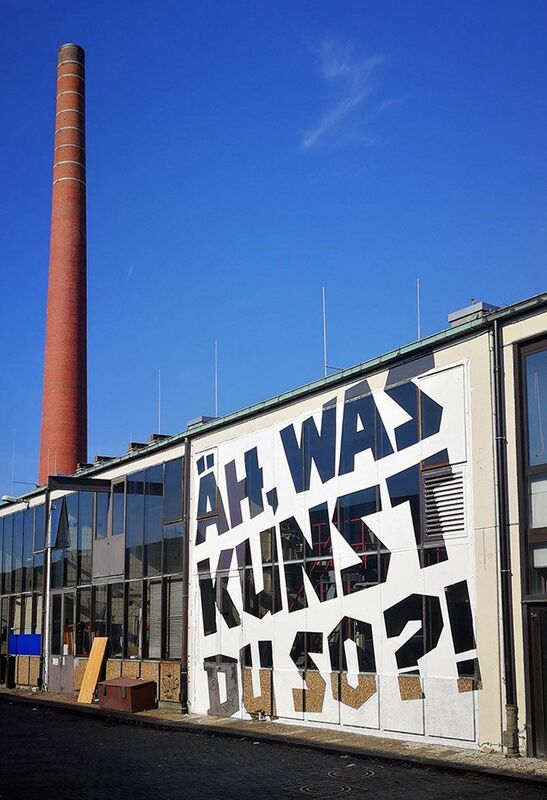 The result was a funny play on words (measuring 15 x 15 meters) that leaves room for interpretation [and yes, to fully understand it you must know some German]. This time we didn’t use tape art for the piece but solely white paint. As a small optical highlight, we did not paint the wall – according to the motto: “As little as possible, as much as necessary”. Nice side effect: The almost golden color of the wall harmonizes well with the dark background of the window. 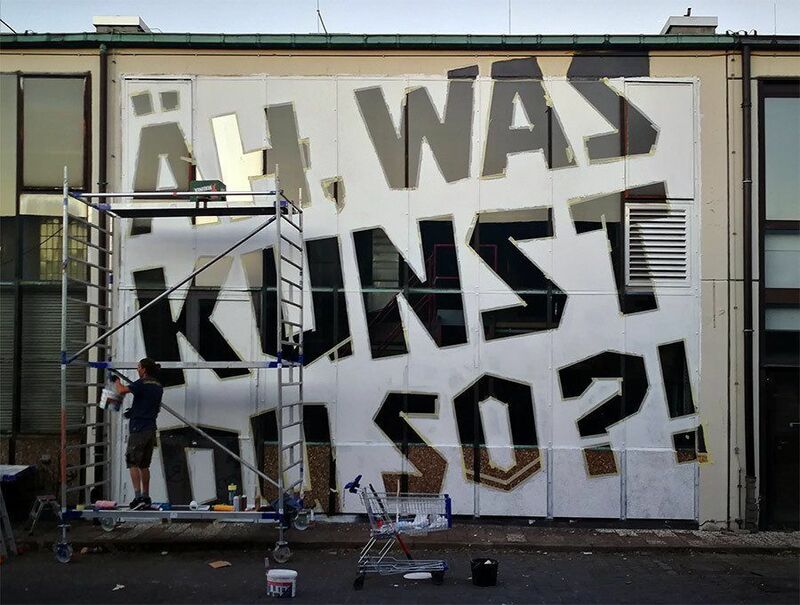 The mural is based on the cheeky German phrase: “Was guckst du so?”, which means “What are you looking at?”. 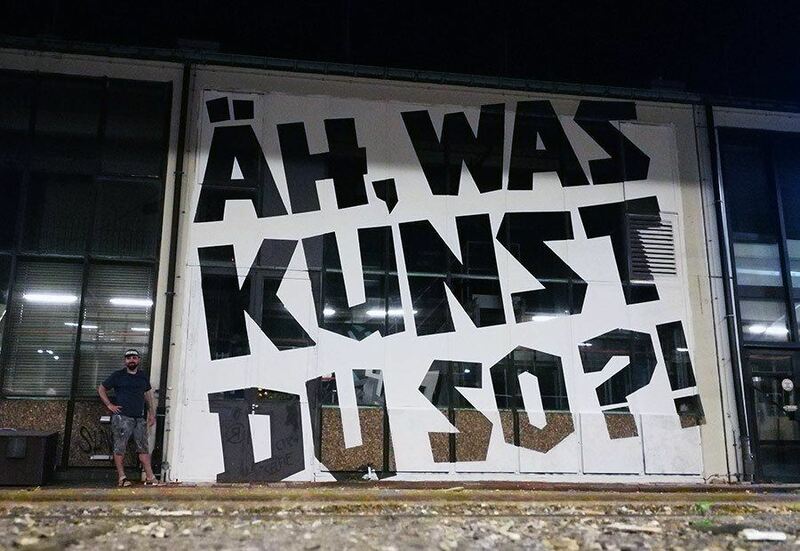 Instead of looking we used the German “Kunst” (which means art) and sounds similar to the German guckst. 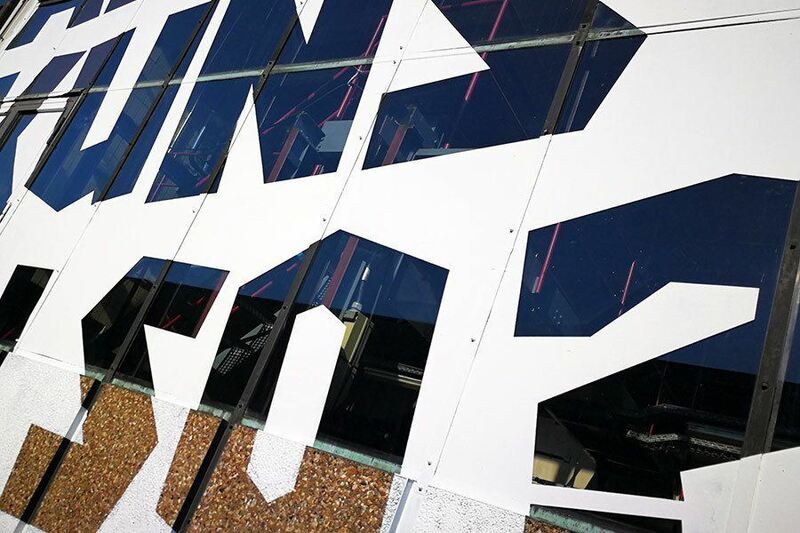 At this mural, there is actually not much to look at – and then there is somehow. Because the question stimulates the thoughts, leaves room for interpretation, raises even more questions, challenges and provokes. Is this wall art at all? How and by whom is art defined? What do you associate with this question? What is art to you? 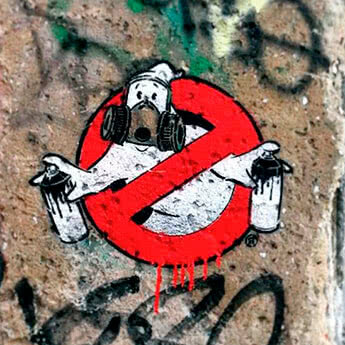 Special thanks to all involved who have participated in the Berlin Mural Fest!